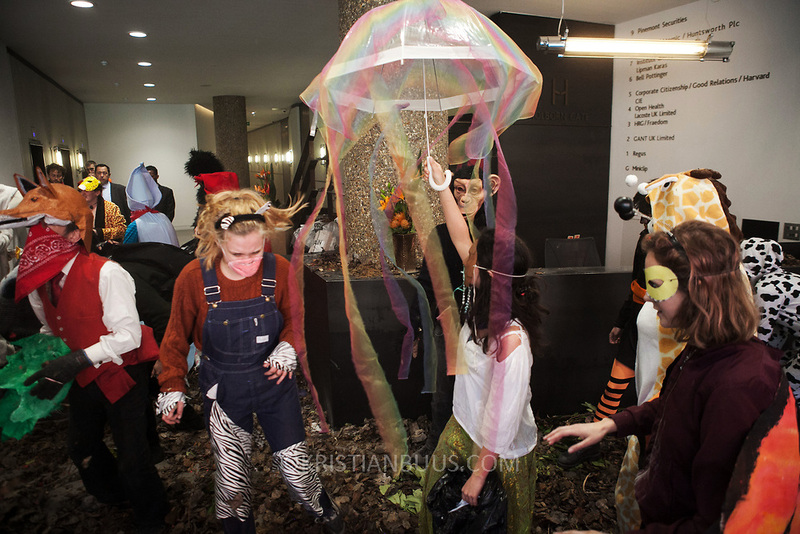 Around 40 activists dressed as animals invaded the PR firm Bell Pottinger in central London to expose their ties with fracking as part of a long running campaign against fracking by the activist group Reclaim the Power called Break the Chain. The activist spend a short while in the lobby with zebras throwing leaves, monkeys spreading animal manure and a squid spraying ‘ink’ on the windows before leaving peacefully. Bell Pottinger currently represent Centrica which is a major fracking investor in the UK according to the group's press release and the company has in the past helped the fracking company Quadrilla restore their reputation.